Riff off the classic G&T, paloma or cobbler with this unsung port variety. Port, in the summer? If you’re thinking of port as dark, rich, and more suited to colder seasons, you’re thinking of ruby and tawny ports, the styles more familiar to most drinkers. White port, on the other hand, is a different beast. It’s juicy, light-bodied with a balanced sweetness. A before-dinner drink, not an after-dinner one. We’ve previously sung the praises of white port in summer drinks—so here are three new cocktails to try. We’re using Fonseca Siroco white port, which, despite its initial sweetness, finishes nicely crisp; it’s refreshing, complex, and stellar in cocktails. In Portugal, you’ll find folks sipping a white port and tonic before dinner, the slight bitter edge of the tonic a nice counter to the gently sweet port. 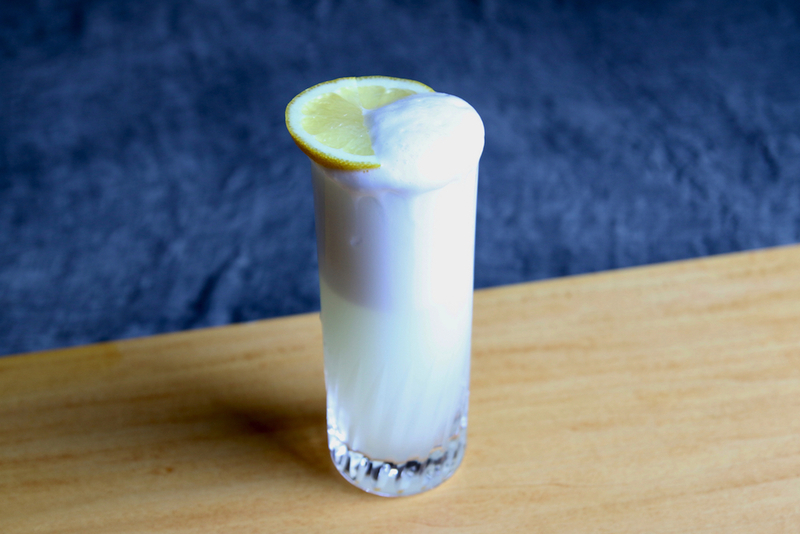 So we can’t believe it took us this long to think of adding gin right in there. What’s not to like? 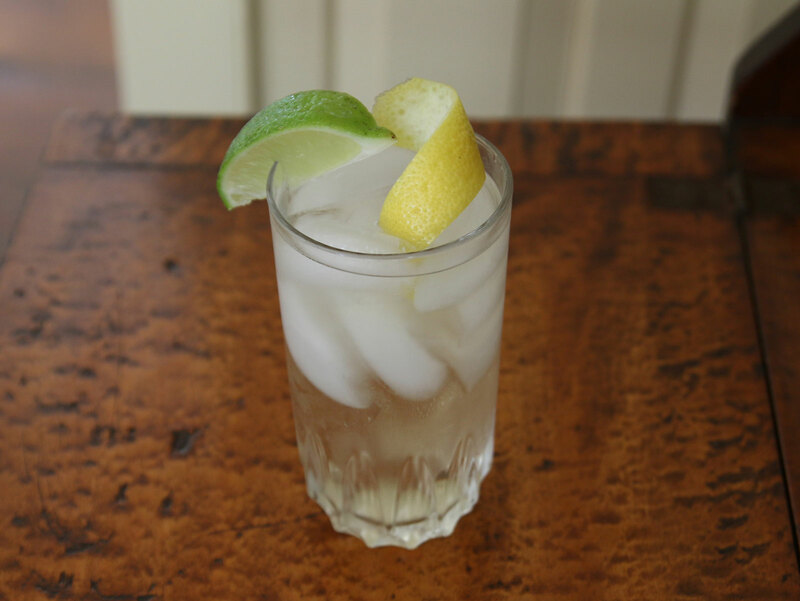 Instructions: In a tall glass with ice, combine an ounce of gin, an ounce of white port, and four ounces of tonic. Stir briefly, and garnish with a lime wedge and a lemon peel. We’re huge fans of the Paloma, one of the most popular drinks in Mexico, which combines tequila with grapefruit soda (or, if you’re feeling fancier, fresh grapefruit and club soda). White port slides in perfectly, and, taking the place of some of the tequila, cuts the proof considerably. Which just means you can make yourself a second round. Instructions: In a cocktail shaker with ice, combine an ounce of tequila, an ounce of white port, an ounce of fresh grapefruit juice, and half an ounce of simple syrup. Shake until well-chilled, then strain into a large rocks glass with fresh ice. Top with an ounce and a half of club soda, stir briefly, and garnish with a few grapefruit half-moons. While port and sherry don’t exactly taste alike, they do have similarities. Both are fortified wines, both are excellent in cocktails, and both tend to hover at around 20% ABV, stiffer than wines but much lighter than spirits. 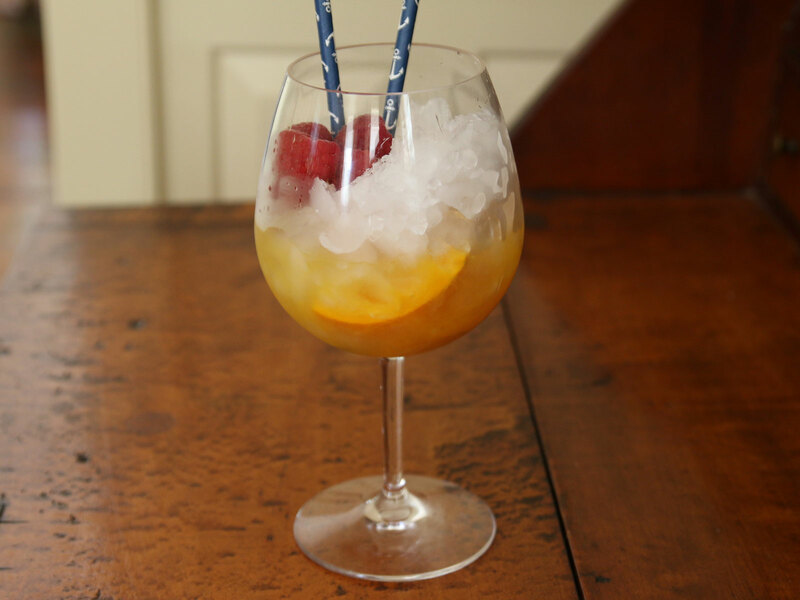 A classic sherry drink is the Sherry Cobbler, not much more than muddled fruit, a little sugar, sherry, and — this is key — tons of crushed ice. We’ve found that white port makes a killer cobbler, and since it’s a bit sweeter than sherry, you don’t even need to add simple syrup. 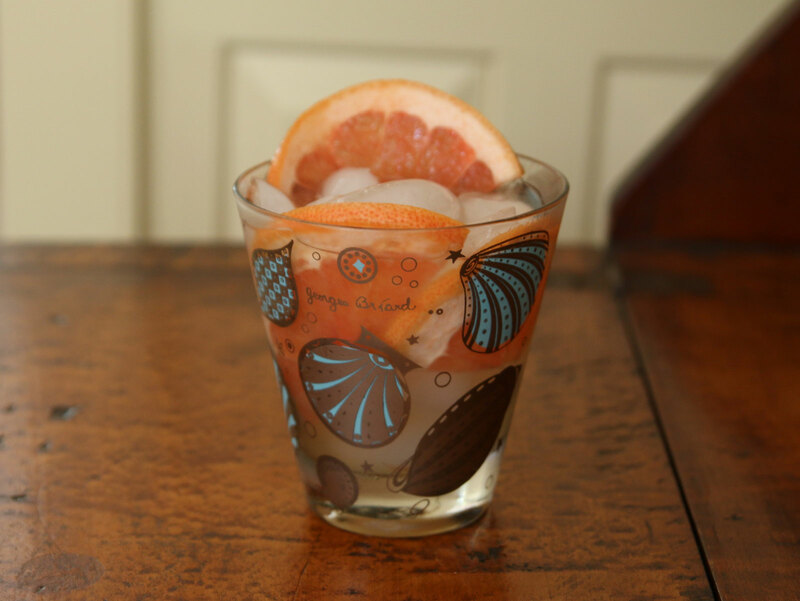 Crushed ice, orange, and white port, and you’re good to go. Instructions: In the bottom of a cocktail shaker, muddle half an orange, cut into pieces. Pour in two ounces of white port, and give a quick stir. Pour, muddled orange and all, over crushed ice in a wine glass. Garnish with a few berries. Don’t forget the straw.